Reminder. This takes place tomorrow at approximately this time (7.30 GMT, 8.30 CET) just west of Brightwater Waypoint in Desert Highlands as OOC location. IC this is somewhere just outside Amnoon. If you have trouble reaching the venue please message me at TCGonBikes.6812 OR Flippystuff.8532 and we'll do our best to get you there! Last update for those in need. 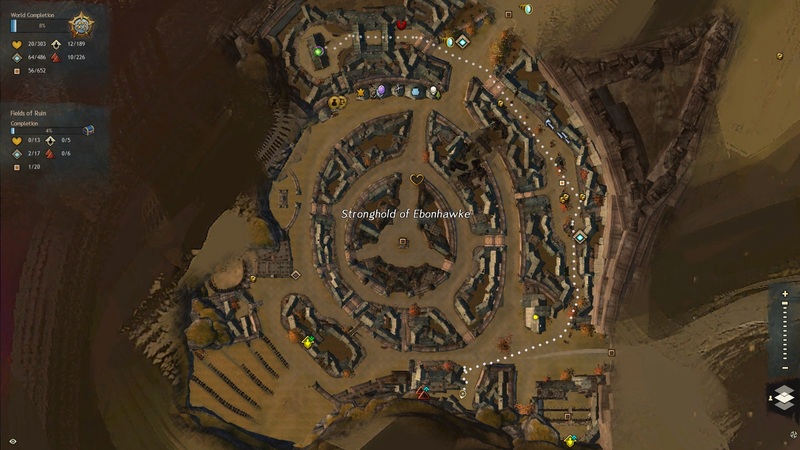 We can still help you get there via old fashioned walking you if you respond soon to the above post and ask for a squad invite to get to Brightwater Inlet, Desert Highlands! As you may have noticed by us doing a love festival. I live! So do we all! Promise. Apologies on the update delay, i've been dealing with illness since around the time of the last show, and these things take time to set up. With that in mind our next show is ready to be revealed! Our next show continues the trend of witty names for the year with TPW: Some Witty Title - Live from Ebonhawke on the 28th of February at 7.30 pm! Confirmed so far to appear! The TPW Champion Dartall Blackstag! The TPW Chaos Champion Kori Raine! The TPW Krytan Champion Dante Signysson! Among others as we return to Ascalon! As a reminder, this takes place Tonight at 7.30 GMT, approximately 3 hours from this post! ADDENDUM. Sorry to disappoint our fans, but due to the UK being in the midst of nuclear winter. Aka a light dusting of snow for most of Scandanavia, we're having people's internet and power dropping a lot. We're going to reschedule for 1 week from now! Apologies once again! Update! Shard IP is 18.194.94.185:0! The event was fun! Thanks to everyone that put in all the work for us plebs.